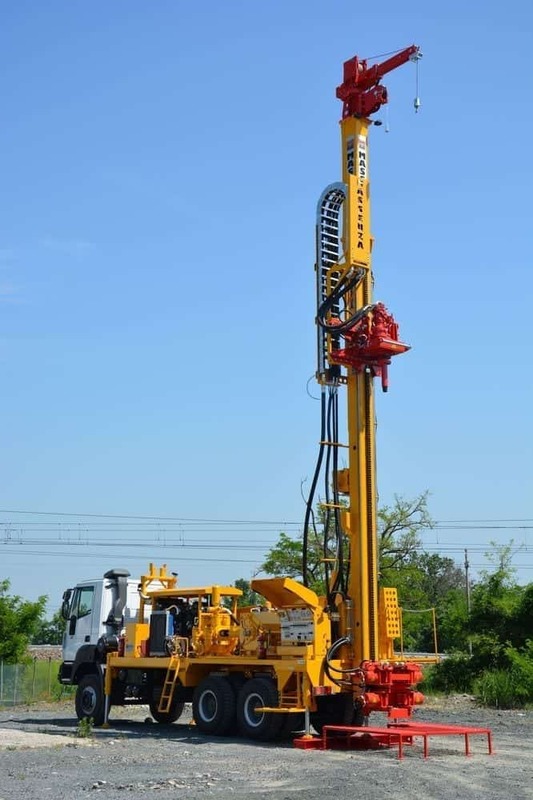 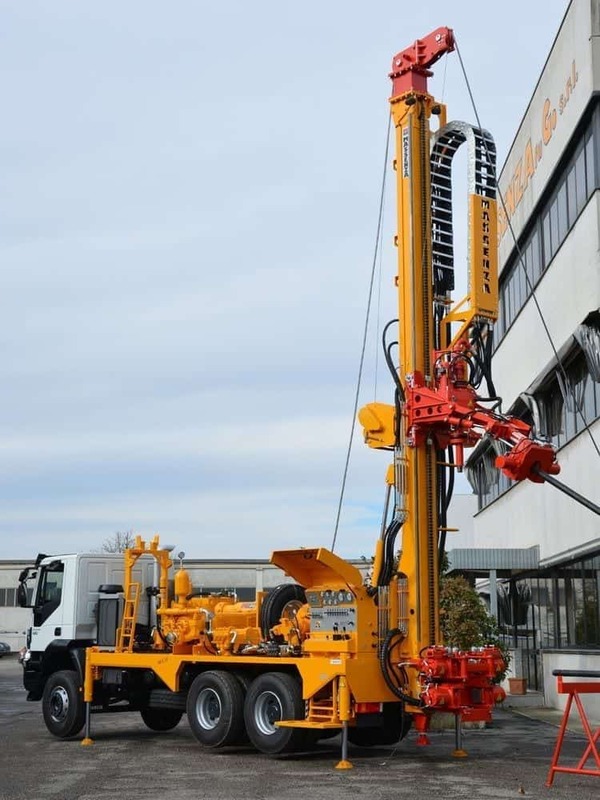 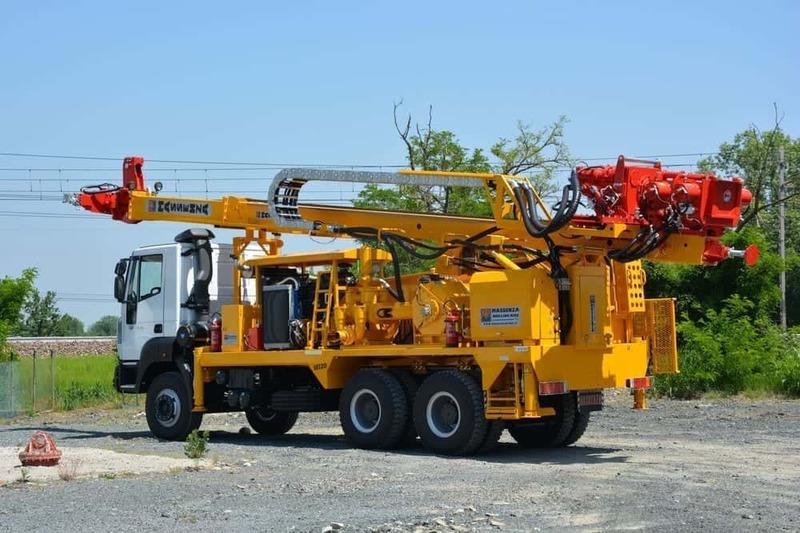 Mounted on truck model IVECO TRAKKER AD380T42H 6x4 Euro 3 (420 HP), the drilling rig is a fully-fledged multipurpose: in fact, thanks to its special rotary head it can perform boreholes for both water and mineral research. 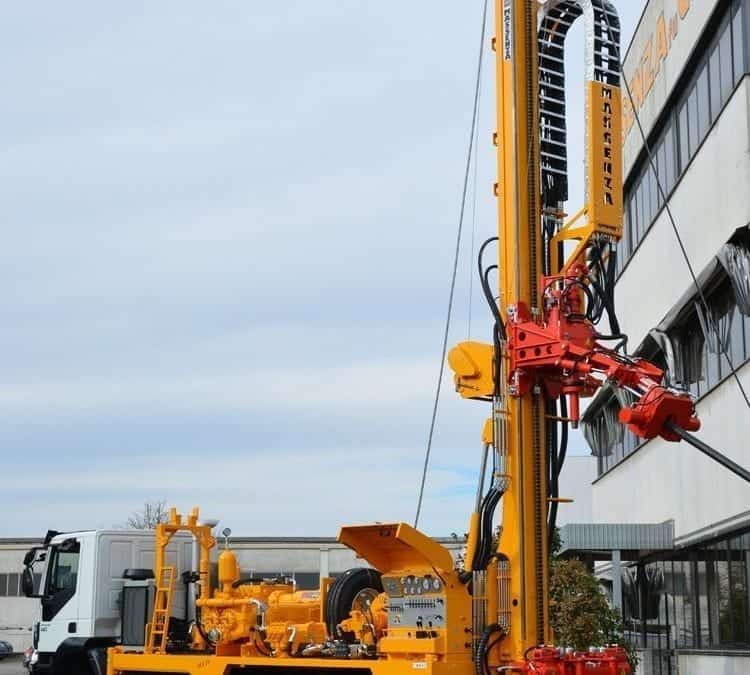 With a 6-speed gearbox rotary head, with 14.250 Nm torque and 720 Rpm maximum available speed, the new Massenza MI20 can do every kind of drilling work. 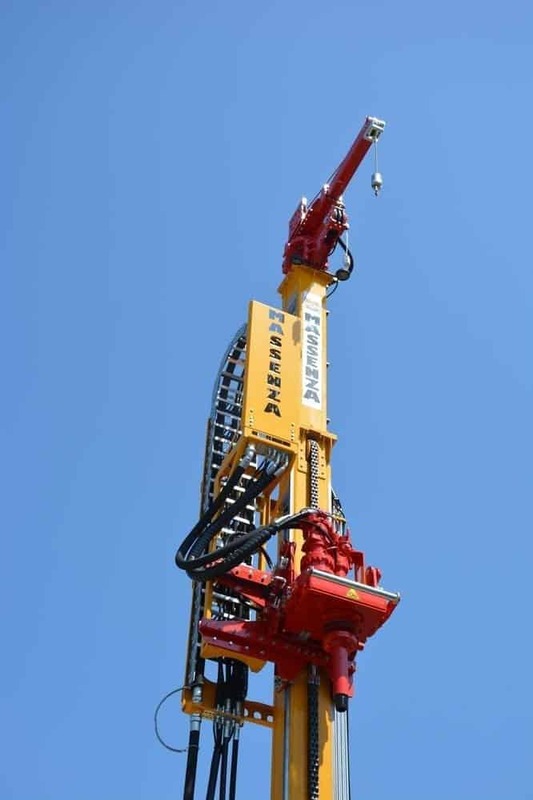 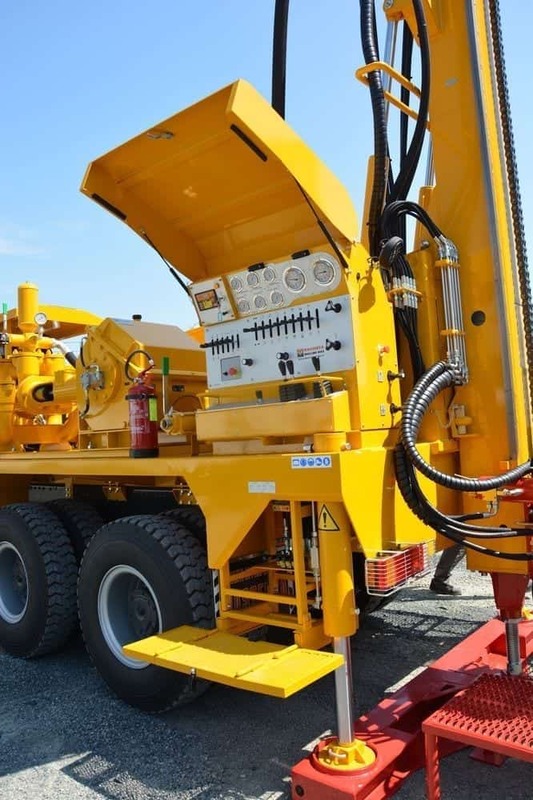 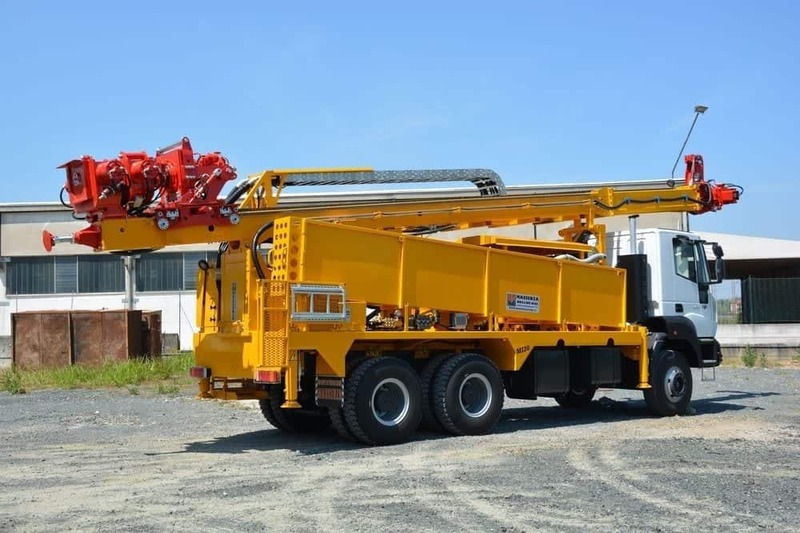 The 21,5 tons pull-up allows the machine to reach high depths and thanks to the pipes charger arm system, mounted under the rotary head, the drilling operations can be done in full safety and great speed. 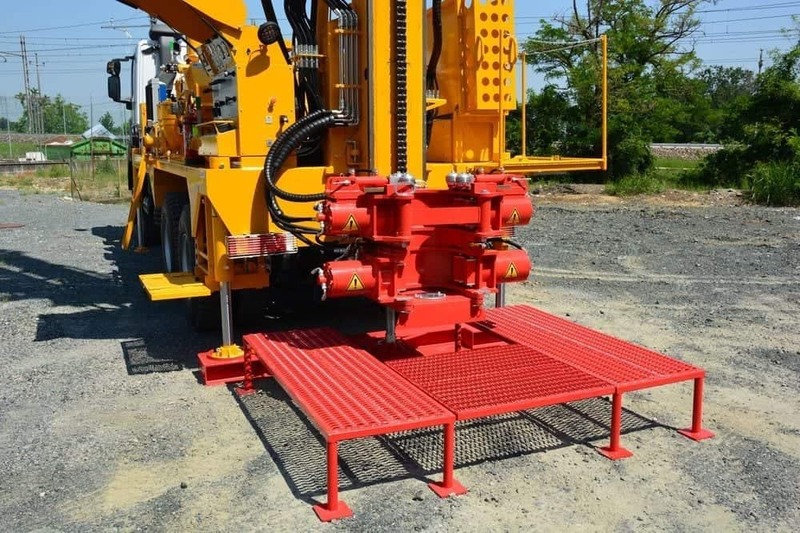 MUD PUMP GARDEN DENVER 5"1/2x8"